Last week I finished up this lovely cuddily quilt. You may remember my mixed up geese from this post. I had lots of fun combining a crazy mix of fabrics together in these blocks and with a light wool blend batting it has ended up so soft & cosy. - loving the vintage vibe of this new-ish fabric! them more or my children? 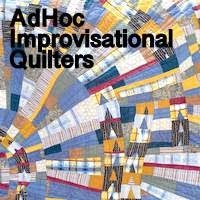 such a nice cuddly quilt - it is not over quilted and stiff and it has such pretty colors in it - always love Pooh! Framing and sashing the flying geese has created a delight. The yellow sets it off so well. Congratulations. The sashing sets those blocks off perfectly. Another great finish. Deck looks good too. What an interesting quilt. I like the way you have set the blocks, the sashing is an excellent contrast to the blocks. A very pretty vintage sheet backing. I always love to watch you play with color! Beautifully done! Congrats on another colorful finish. So pretty! I love your vintage style! Another lovely finish! 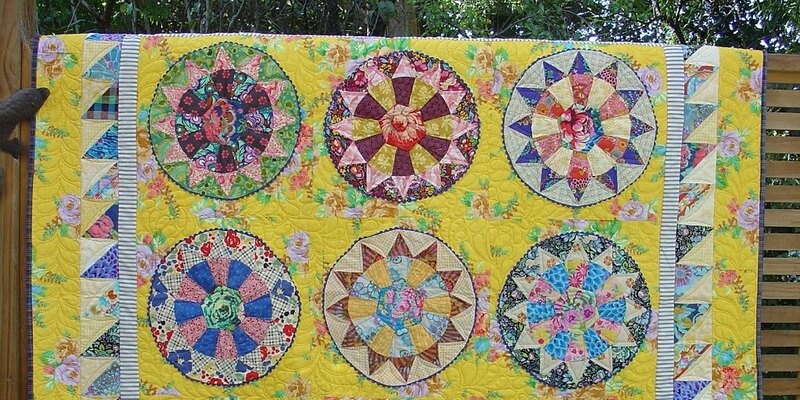 That border fabric is very pretty and sets off your geese blocks really nicely. Lovely to see your finish. It is satisfying to have it completed and looking wonderful.